Come play music from more than thirty countries including Albania, Turkey, Bulgaria, Greece, Canada, Finland and Peru. 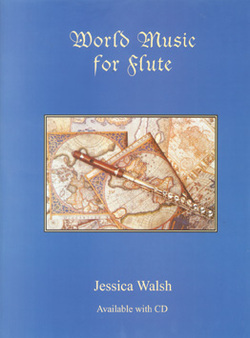 The forty-three pieces in this book have been danced to, played and sung by generations of people all over the world. Whether a lullaby or dance, love song or lament, whether in a familiar or seldom-played meter, a known or exotic scale, each melody selected for this collection is a gem; many are sure to become cherished as favorites. With play-along CD.